SENSATIONAL NEW LOOK - STAGED - SASSY! An idyllic setting beckons you to this enchanting country retreat which exudes a definite European vibe! The focal point of the first level is the spectacular two-story paneled great room with a wide pine floor anchored by a custom fireplace. Another highlight is the expansive gourmet kitchen with white cabinetry, granite counters and high end stainless steel appliances. 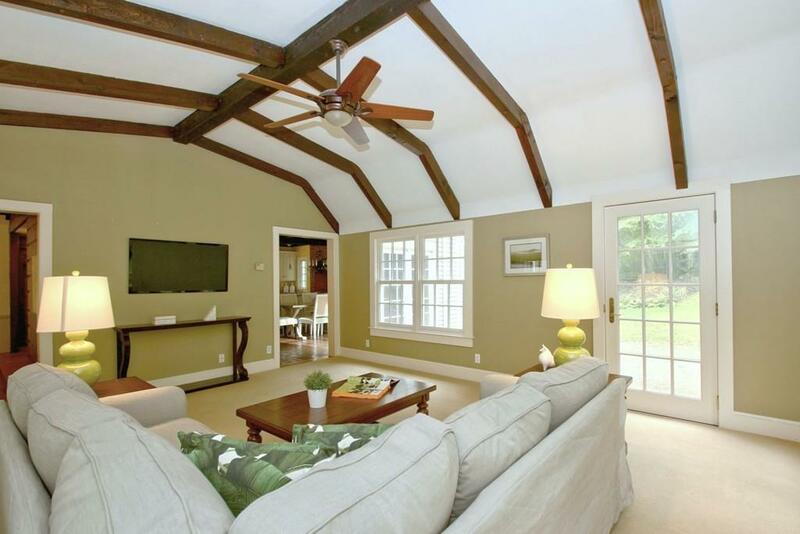 A family room off the kitchen with French doors to the private setting and a two-bedroom wing (office option) with a back staircase complete this level. A spacious master ensuite plus two bedrooms are on the second floor, and the walk-out lower level has versatile space for a playroom or office. 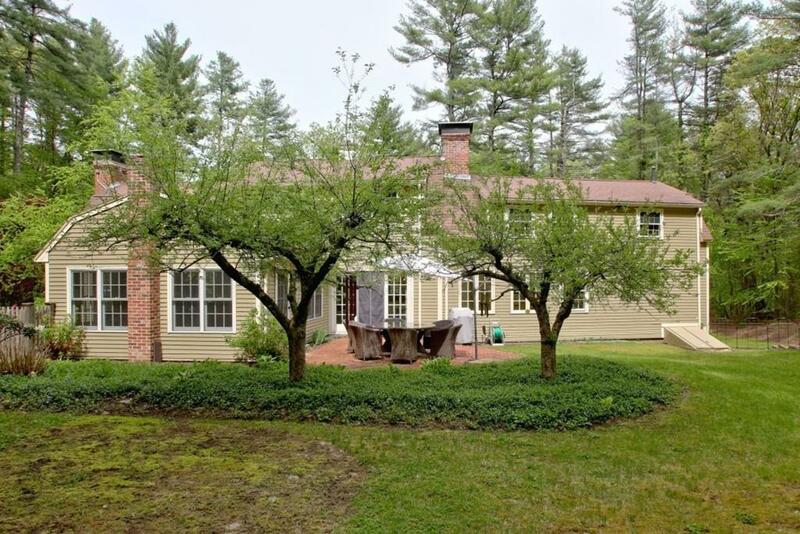 Vacation at home in this 6 acre mini estate in the shadows of the historic Wayside Inn and minutes to all conveniences! 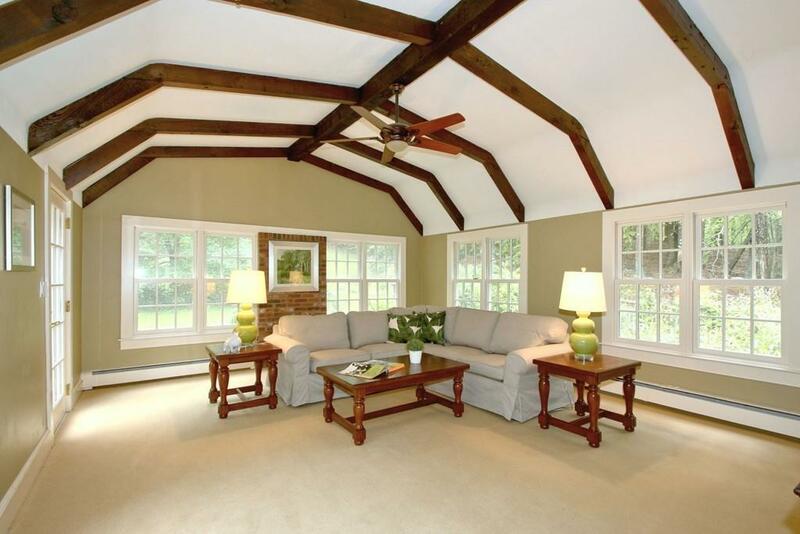 Listing courtesy of Fern Firth of Coldwell Banker Residential Brokerage - Wayland. 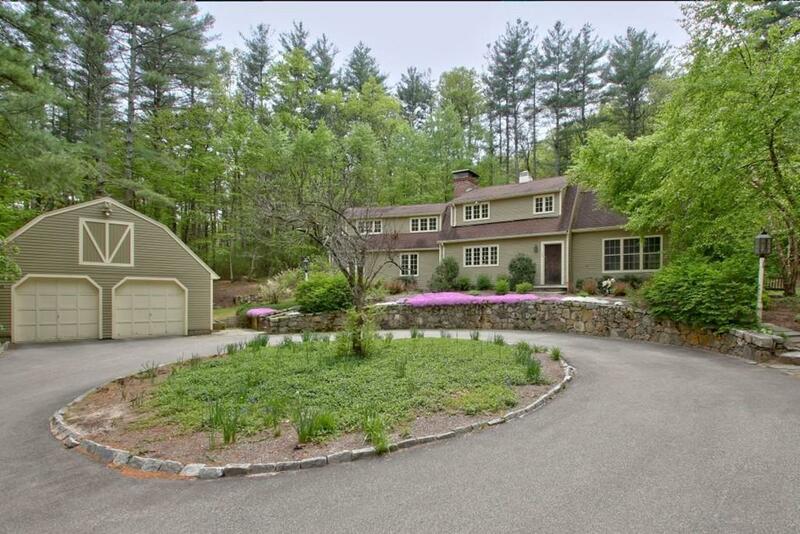 Listing provided courtesy of Fern Firth of Coldwell Banker Residential Brokerage - Wayland.